Rustic wood meets contemporary iron, and the result is a stunning showcase for a candle or any other decorative decor you can dream up. 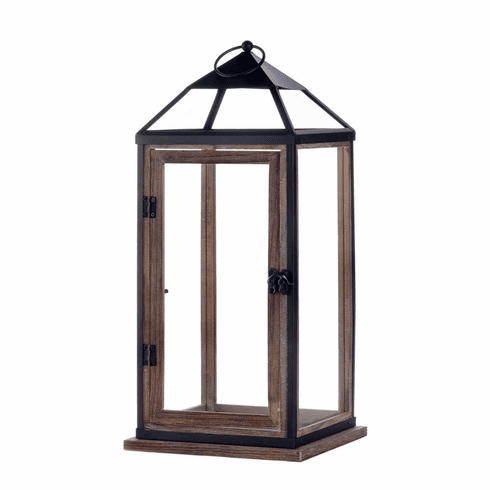 This large lantern features clear glass panels with wood trim and a black metal frame. 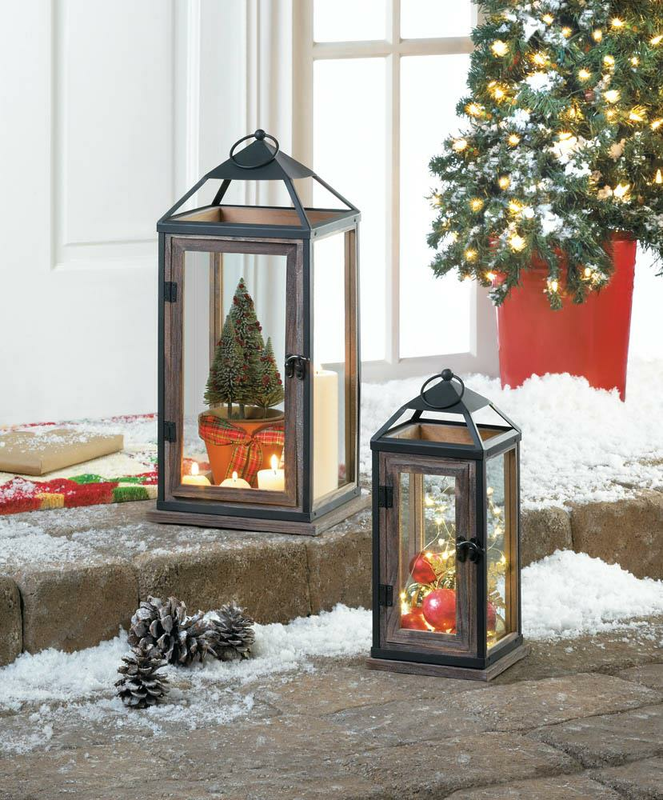 Hang it from the top loop or set it down on the base; either way it looks fantastic! Weight 4 pounds. 8.25" x 8.25" x 18". Pine Wood, Iron. UPC Number: 849179033347.